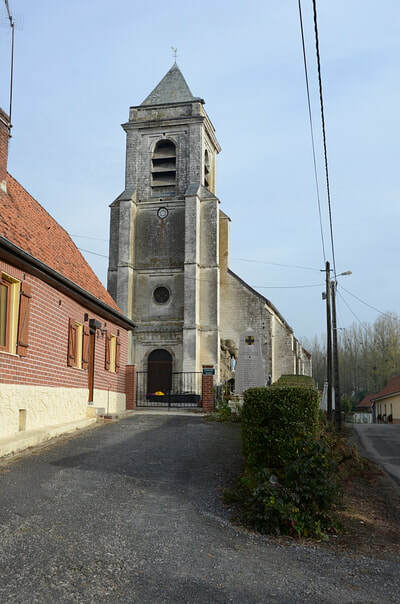 Caumont is a village and commune 10 kilometres south of the town of Hesdin, 2 kilometres east of the main Hesdin to Abbeville road (D928). 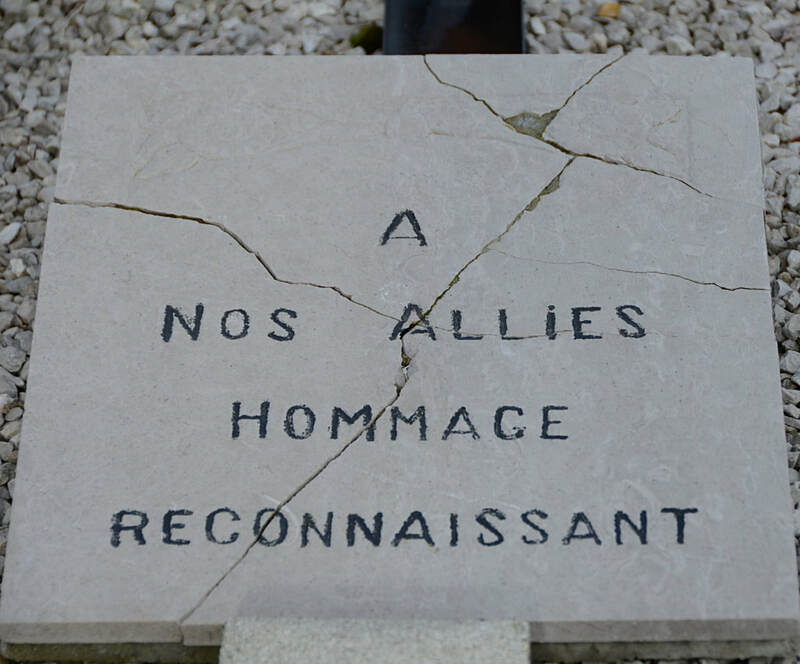 In the churchyard are the graves of seven airmen, six from the United Kingdom and one belonging to the Royal Canadian Air Force. 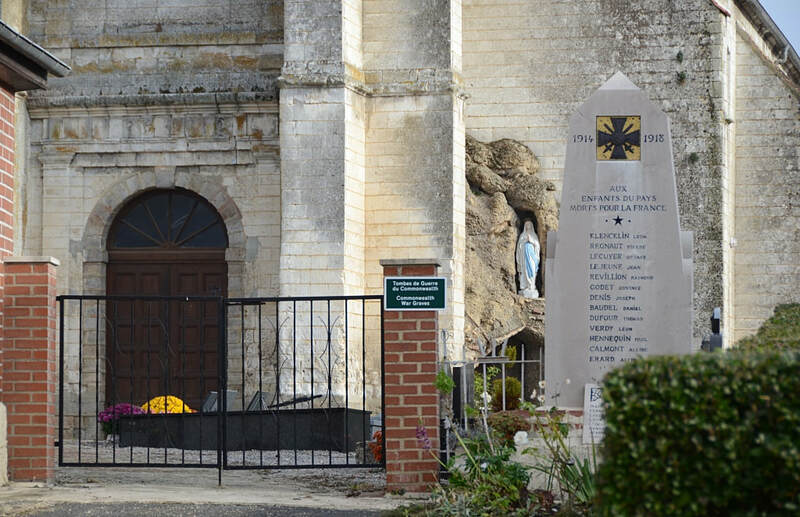 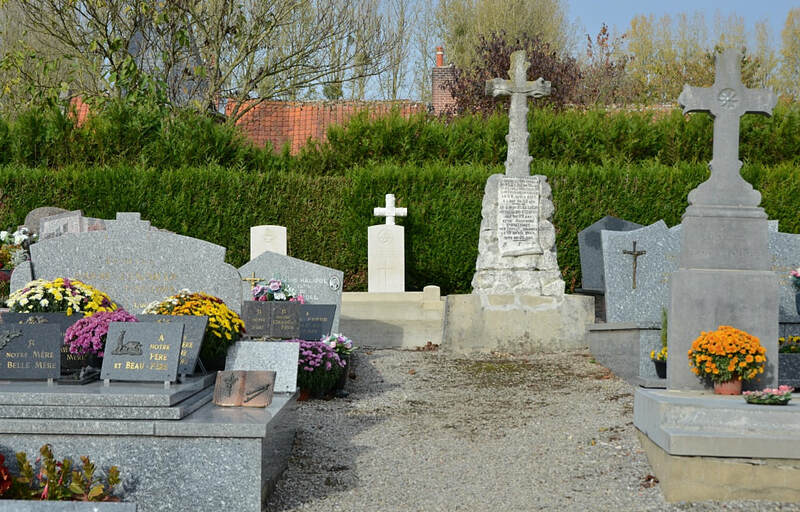 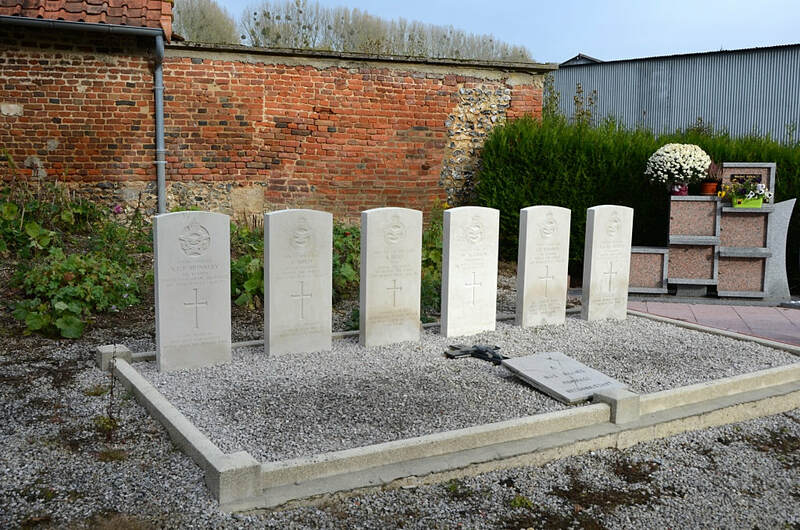 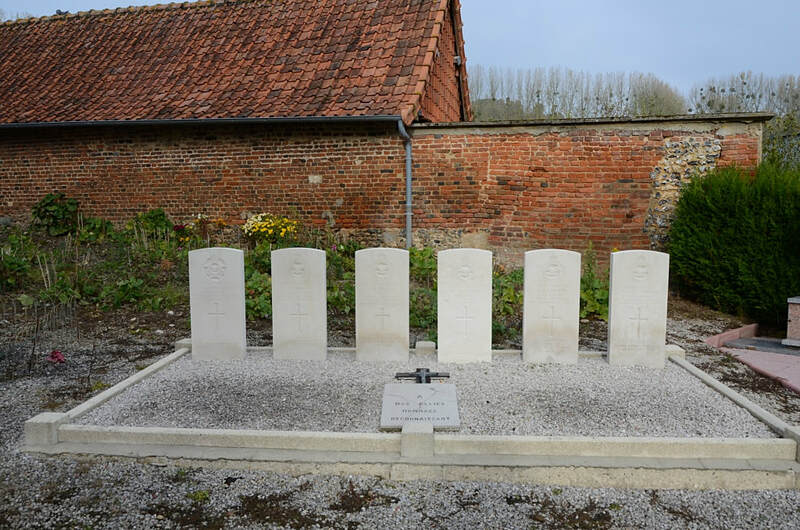 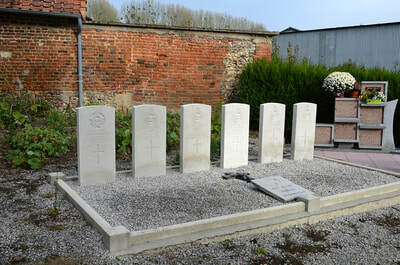 Six of the graves are in the north-eastern part of the churchyard; the other is in the north-western corner, adjacent to the grave of a British soldier who fell during the 1914-1918 War. 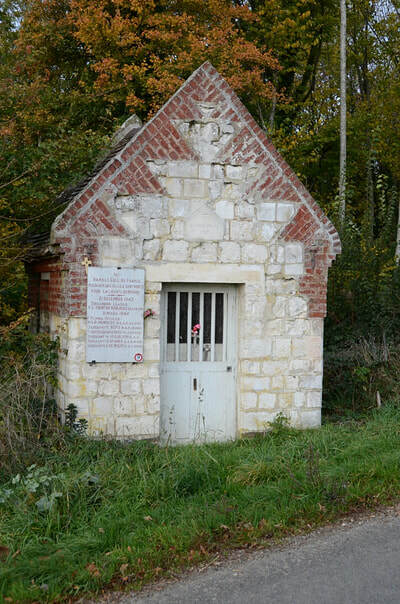 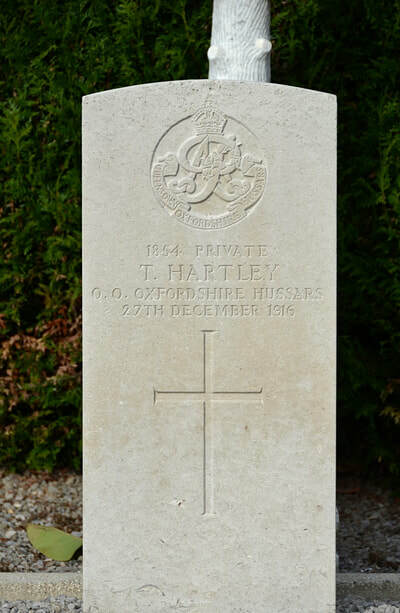 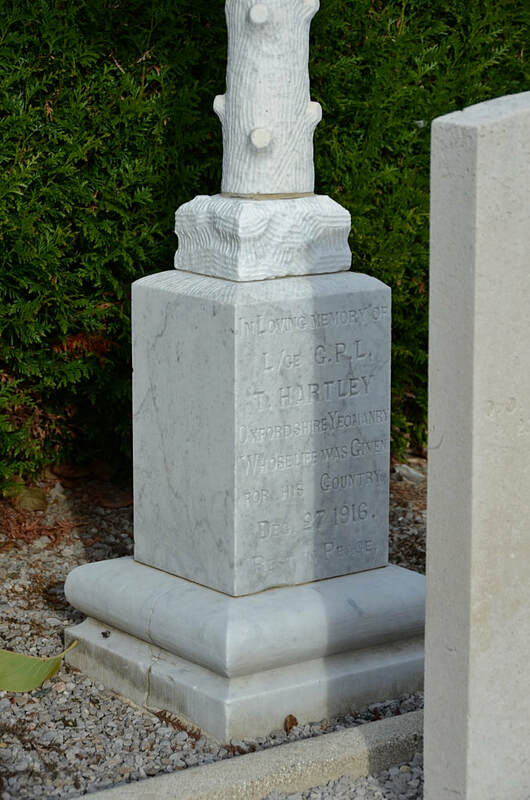 ​1854 Private Thomas Hartley, Queen's Own Oxfordshire Hussars, died 27th December 1916. 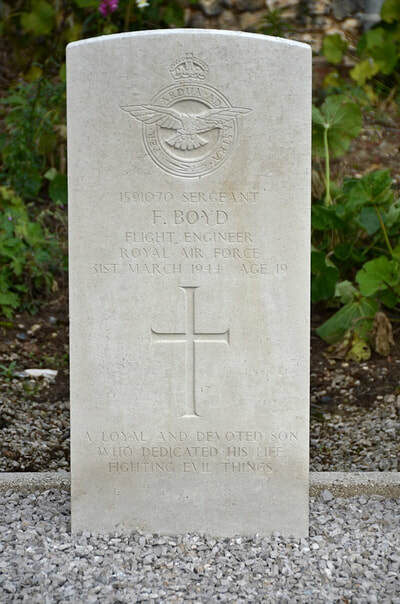 1591070 Sergeant Frederick Boyd, Flight Engineer in 158 Squadron, Royal Air Force Volunteer Reserve, died 31st March 1944, aged 19. Son of F. and Annie Boyd, of Sheffield. 811164 Flight Sergeant Albert Brice, Pilot in 158 Squadron, Royal Air Force (Auxiliary Air Force), died 31st March 1944, aged 28. 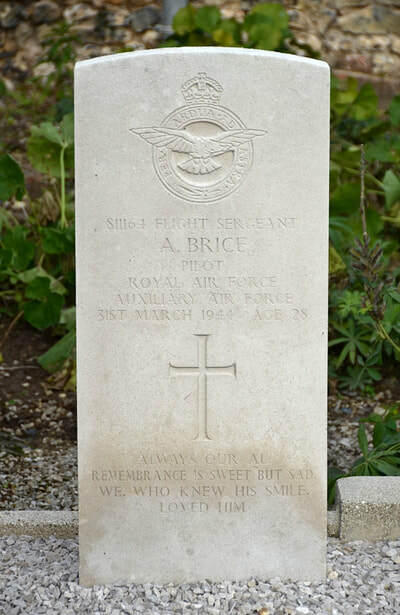 Son of John Henry and Edith Margaret Brice, of Stoneycroft, Liverpool; husband of Dorothy Brice (nee Woods). 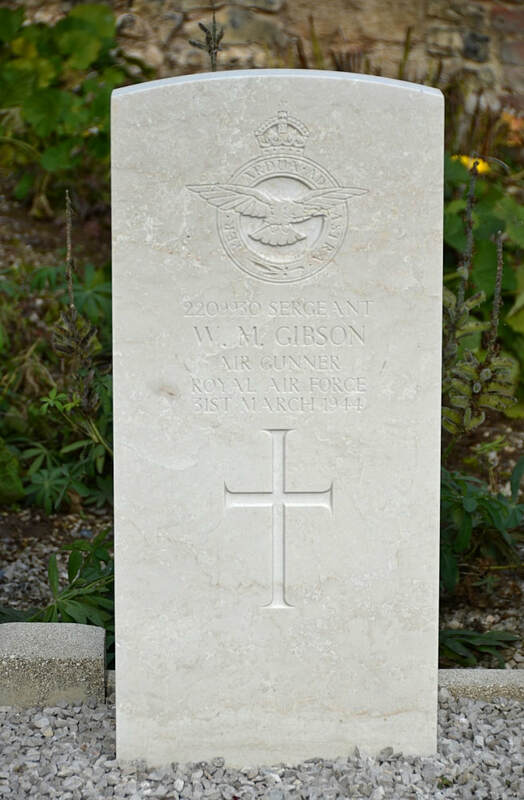 2209930 Sergeant William Maurice Gibson, Air Gunner in 158 Squadron, Royal Air Force Volunteer Reserve, died 31st March 1944. 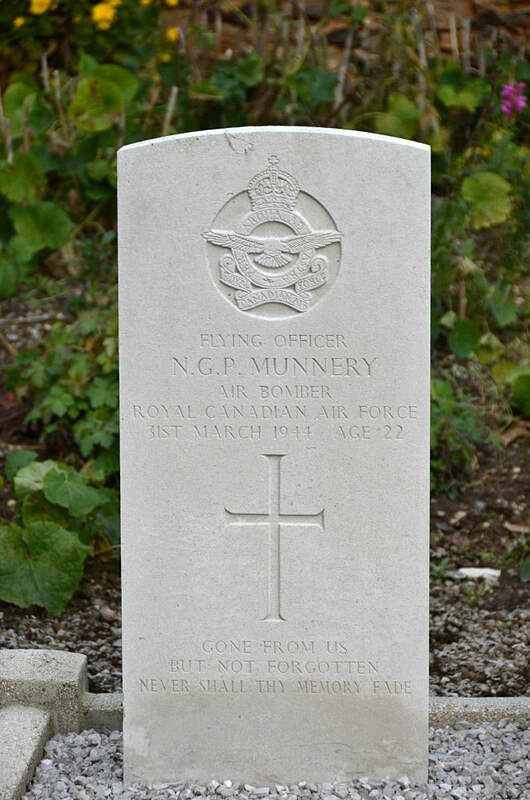 J/23755 Flying Officer Norman George Peter Munnery, Air Bomber in 158 Squadron, Royal Canadian Air Force, died 31st March 1944, aged 22. Son of George and Evelyn Munnery; husband of Eileen Dora Munnery, of Brighton, Sussex. 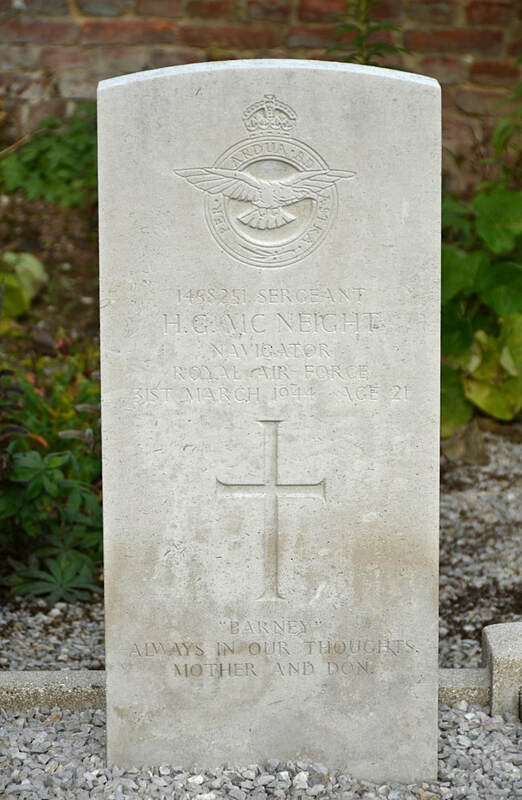 1458251 Sergeant Hubert Graham McNeight, Navigator in 158 Squadron, Royal Air Force Volunteer Reserve, died 31st March 1944, aged 21. 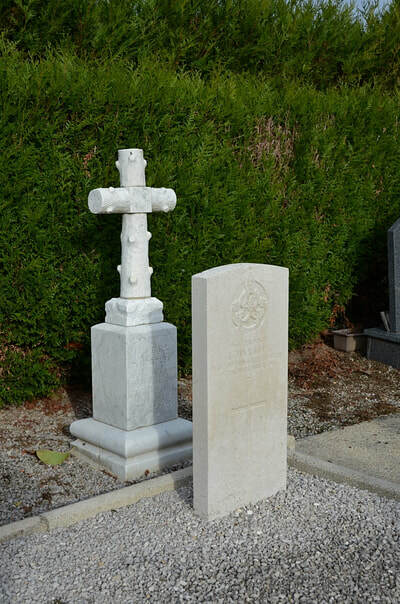 Son of Hugh Graham McNeight, and of Dora Elizabeth McNeight, of Upton, Birkenhead. 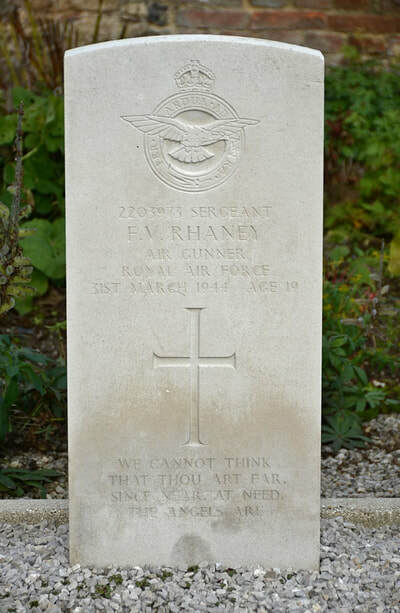 2203973 Sergeant Francis Victor Rhaney, Air Gunner in 158 Squadron, Royal Air Force Volunteer Reserve, died 31st March 1944, aged 19. Son of Wilfred Victor and Mary Rhaney, of Fivecrosses, Cheshire. 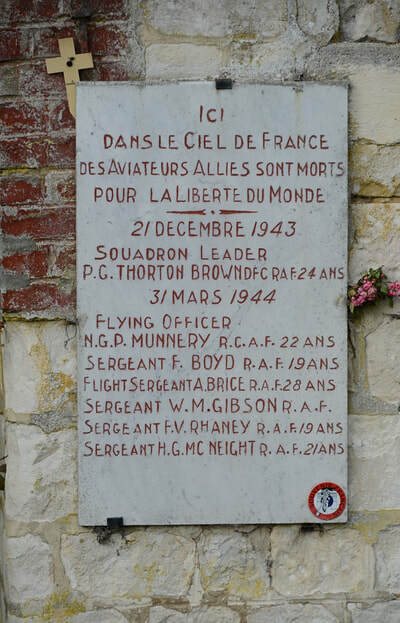 81639 Squadron Leader Patrick Glynn Thornton-Brown, D. F. C. Pilot in 609 Squadron, Royal Air Force, died 21st December 1943, aged 24. 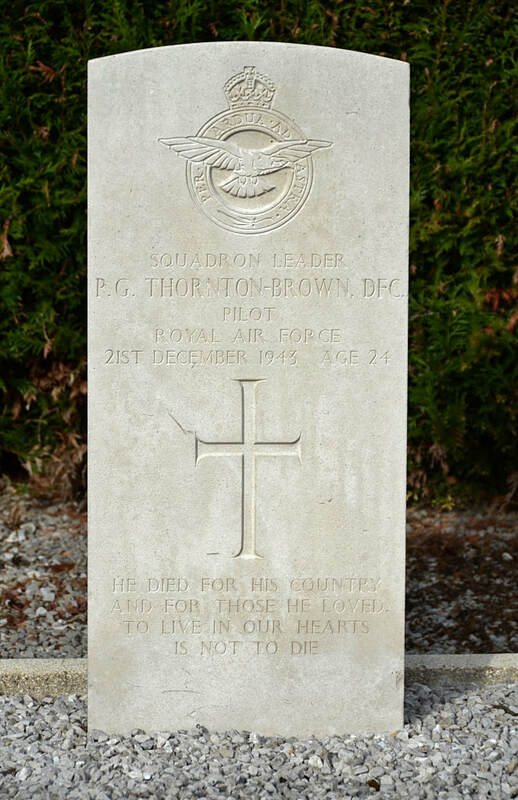 Son of Major Eric Thornton Brown and Gladys Muriel Thornton Brown, of Slough, Buckinghamshire; husband of Betty Elaine Thornton Brown, of Slough.